By Ryan Cooper, LEED GA, Project Associate of the SPC. With funding from U.S. EPA Region 4, Mecklenburg County, the University of North Carolina, Charlotte (UNCC) IDEAS Center, and in-kind contributions from Sustainable Packaging Coalition (SPC) member dues, nonprofits GreenBlue and Elemental Impact, in cooperation with UNCC and composter Earth Farms Organics, are Scaling Up Composting in the Charlotte Region. The SPC is providing the initial funding for food waste generators to separate kitchen scraps and other organic materials from their trash. GreenBlue’s SPC recently recruited the Carolina Panthers franchise as a participant in this exciting program! The project aims to identify best practices for diversion of food waste from the landfill. The SPC will also provide local governments and businesses with a deeper understanding of the challenges and solutions associated with organics recycling. Data will be collected and analyzed for the weight and composition of the organic material, as well as the financial implications of participating in food waste collection. Earth Farms Organics provides technical assistance, hauling services, and composting capacity for interested parties to recycle their organic residuals. Earth Farms’ proven success had already attracted many key stakeholders in the region, with names like Dole, Nestle, and Lance. Mecklenburg County also started a food waste collection pilot in the Charlotte-Mecklenburg School system, which has 164 schools and 144,000 students. In addition to the Panthers, the SPC has made it possible for the YMCA, Carolina Place Mall, and the Central Piedmont Community College (CPCC) to start composting. The SPC also successfully recruited the Food Lion grocery store chain, with 100 locations in Mecklenburg County alone. With help from Rick Lombardo at Natur-Tec and Sarah Martell at Innovia Films, the SPC gathered current curricula related to sustainable materials management and composting, as well as completed a composting lesson plan, for Nicolette Torres’ 6th Grade Environmental Science Class at Metrolina Regional Scholars Academy. The SPC is also working on coordinating waste diversion at Metrolina as a three-bin package (compost, recycling, and landfill trash). At Central Piedmont Community College (CPCC), the SPC provided funding to start food waste diversion at the Harris campus and purchase compostable liners. The SPC also coordinated donation by Rubbermaid for “slim jim” bins. Working with Earth Farms Organics, the SPC provided compost bins for attendees and food vendors at the South End Hops Festival. 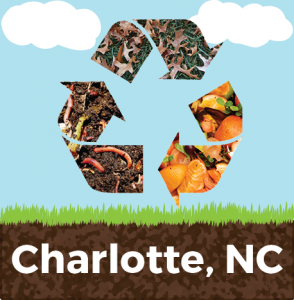 GreenBlue is working with Mecklenburg County to enhance their support for recycling and composting at larger, and especially smaller, events around the city. The SPC is also collaborating with Mecklenburg County and CMS to gain an understanding of their innovative program and where improvements can be made. 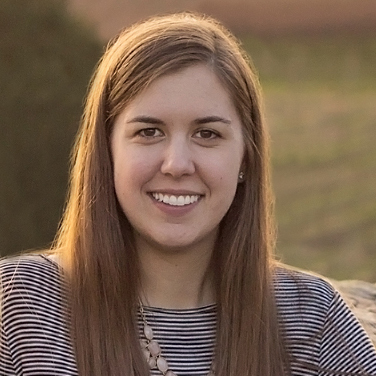 Tyler Gilkerson, a geology student at UNCC, was welcomed to this project in April of 2015. Tyler immediately perceived this project as an opportunity to make a positive impact on his hometown’s environment and community. As the son of a geologist and grandson of a farmer, Tyler grew up learning the importance of responsible waste management and fostering healthy soils. Prior to UNCC, Tyler attended Guilford College, where he became an integral part of his institution’s on-campus, organic production farm and food waste diversion program. Upon graduating in 2012, Agromatters, LLC, formed by Tyler and his father, was awarded a contract to co-manage the Guilford Farm and a small Type III composting operation. With hopes of applying this sustainable, “closed-loop” concept to a municipal scale, they began operating a large Type I composting facility in Cabarrus County. Tyler has since decided to postpone his business pursuits and focus on his formal education. Tyler ultimately aims to apply the lessons he has learned during this project to a career involving pollution prevention and remediation of essential natural resources. Tyler has been using the Re-TRAC Connect program to analyze the weight data of participants’ food waste. Waste characterizations by Gilkerson had begun at participating CMS schools before the school year ended, examining the volume, density, and rate of contamination in the food scraps. The most exciting waste characterization so far might have been at the Bank of America Stadium after the CONCACAF Gold Cup soccer match. Information about the grant program was featured in the May issue of BioCycle magazine, the industry journal for composting. The SPC is currently working with the YMCA on bringing in additional campuses as well as adding front-of-house composting collection. Anne Bedarf, Program Manager at the SPC, is the principal investigator of the grant. However, with Anne out on maternity leave, Ryan Cooper, LEED GA, Project Associate with the SPC, has taken the helm. Ryan has extensive experience in using compost for organic farming and horticulture, started a small Type III compost facility at the Penland School of Crafts in western North Carolina, and worked with the City of Asheville, NC, to develop a feasibility study for curbside residential food waste collection. His thesis reviewed organics recycling programs in municipalities throughout Europe and North America. He writes regularly for BioCycle magazine. Challenges for food waste generators include space, labor, cost, and logistics such as ramps on loading docks that facilitate the removal of rolling food waste carts. New management can also step in and put an end to existing waste diversion programs. Difficulty with implementing front-of-house compostable packaging solutions include concerns about the difficulty of replacing currently used food service ware, contamination, and cost. Many times, it seems that an unseen bureaucracy can stop a potential participant from joining the program. However, the recent site visit and operations tour of IKEA, a program participant, was an impressive example of the success that businesses and institutions can achieve by diverting their food waste. Outreach via calls and email to address problems, providing resources to disprove perceived issues, trials with compostable materials, and persistence in communications and value proposition can overcome the common challenges. GreenBlue strategic ally Elemental Impact, a national non-profit based in Atlanta, recently visited Charlotte for a series of follow-up meetings with shopping malls, stadiums, a conference facility, and other key stakeholders. SPC Project Associate, Ryan Cooper attended these meetings, organized by Ei Founder Holly Elmore, on recycling refinement, including food waste collection for compost. 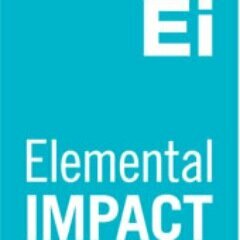 “The recent Elemental Impact trip to Charlotte was incredibly successful” said Cooper. The EPA Region 4 grant team is now planning for the SPC Advance session detailing the results of this project in Charlotte on October 8, 2015. In addition to adding more participants to this successful program, Ryan Cooper will be busy compiling the final report for the EPA, his presentation for SPC Advance, and a BioCycle article detailing the results of the project. Ryan has extensive experience in using compost for organic farming and horticulture, has started a small Type III compost facility at the Penland School of Crafts in western North Carolina, and has worked with the City of Asheville, NC, to develop a feasibility study for curbside residential food waste collection. His thesis reviewed organics recycling programs in municipalities throughout Europe and North America. He also writes regularly for BioCycle magazine.